Today is May 18, 2018, and I want to note for all of you that events of extreme importance happened on this day, the day of Jesus's ascension in 30 AD. 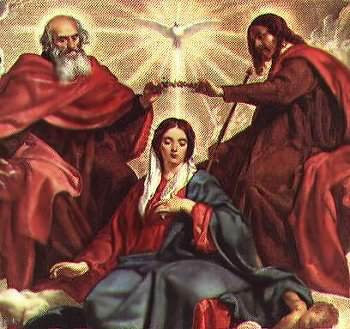 Event #1: First, this is the day of Pentecost, the great initiatory moment when the followers of Jesus and in fact all humankind received the bestowal of the Spirit of Truth, which in turn led directly to two other great events. . . Event #2: Michael, our Creator Son and universe father, received formal confirmation of his "master sovereignty" of Nebadon--the local universe of his creation along with his co-creator, our Mother Spirit. Event #3: Our Mother Spirit, Christ Michael's universe consort and cocreator of our local universe, becomes personally knowable by all contacting individuals. Also, on or about May 18, 30 AD, at the Jubilee of Jubilees on Salvington, Michael published the "Proclamation of Equality" for all in our local universe. We can celebrate both together each May 18: Michael's sovereignty and Mother's co-rulership of our universe. As Joshua Wilson puts it: "Let us pledge ourselves in loyalty to the Son and the Spirit, and encourage all whom we know to do likewise. Glory to God in the highest!" NOTE TO A FRIEND & CHRISTIAN COLLEAGUE: Thank you! Jacques Vallee was one of my early contacts and member scientists of the 1977 Carter White House ET Communication study. That may be one reason the Pentagon & MIB Men in Black shut the project down in Oct 1977. In this article, with Luciferian Deception, Vallee terms paid deep cover operative Michael Salla - who lifted his 2004 Exopolitics.org off Alfred’s 2000 book Exopolitics without attribution - the “founder of Exopolitics”. Neither Vallee nor Salla are cosmic Christ- oriented or cognizant IMHO in our Earth’s Exopolitical drama and both are documented prevaricators. No es tanto que el Deep State - Estado Profundo - esté en contra de Jesús, sino que son los Nazis que están en contra....[En Ingles hay un chiste - Nazi="Not-See" - No ven]: It is not so much the Deep State is against Jesus, but the Nazis that are..
- Por medio del "Aleman DVD" El gobierno del 4o Reich de occupacion global, con sus capitales en Moscú [Por eso tanto el Partriarcha Ruso, amigo de Putin, tanto que el Jesuita Argentino Bergoglio (Papito) fueron a Antarctica, la vcapital de los "Not-See - Nazi", el Vaticáno, Londres, Washington, DC. - Y los hermanos Castro - que ya se sabe vienen de las llamadas "bloodline" - lineas de sangre papales e Iraníes - hicieron su jugada por medio de la CIA para entregarle a los Nazi a Cuba bajo el disfraz del "comunismo" por medio de los tuneles de Atlantides que van hasta Tierra del Fuego y Antarctica. Bueno - Esto es una hispotesis en marcha - ya verémos! Hola Sé que suena un poco raro, pero los Nazis invadieron a Cuba desde sus bases en Antartica, establesidas por Hitler y el 3er Reich conjunto con el comienzo de 2rd guerra mundial, por medio de una red de tunneles de las ruinas de Atlantides que van desde Antactica por Patagonia, la tierra de los Incas, CentroAmerica, hasta debajo del Mar caribe y subiendo a la superficie al fondo del Mar Caribe entre La Bahamas y la costa norte de Oriente donde, cuando viviamos en Chaparra [Oriente], ibamos a nadar al Cayo Juan Claro y Punto Tomate, aya fuera de Holguín, donde se encuentran las ruinas de Atlantide enscondidas dbajo del coral y las rocas y la superficie desde la ultima guerra exopolitica y el cataclimse de 9500 Ante Cristo. - Through the "German DVD" The government of the 4th Reich of global occupation, with its capitals in Moscow [That's why both the Russian Partriarcha, friend of Putin, as well as the Jesuit Argentino Bergoglio (Papito) went to Antarctica, the vcapital of the "Not-See - Nazi", the Vaticáno, London, Washington, DC. - And the Castro brothers - who already know come from the so-called "bloodlines" - papal and Iranian bloodlines - made their move through the CIA to deliver the Nazis to Cuba under the guise of "communism" through the tunnels of Atlantides that go to Tierra del Fuego and Antarctica. Hello I know it sounds a bit weird, but the Nazis invaded Cuba from their bases in Antarctica, stabilized by Hitler and the 3rd Reich together with the beginning of World War II, through a network of tunnels of the ruins of Atlantides that go from Antactica through Patagonia, the land of the Incas, Central America, to below the Caribbean Sea and rising to the surface at the bottom of the Caribbean Sea between the Bahamas and the north coast of the East where, when we lived in Chaparra [Oriente], we were going to swim to Cayo Juan Claro and Punto Tomate, aya outside Holguín, where the ruins of Atlantide are hidden under the coral and the rocks and the surface since the last exopolitical war and the cataclimate of 9500 Before Christ. Well - This is a hipothesis in progress - we'll see! Can we rise to the Challenge of The @Real Jesus Times, an uncompleted project? Subject: Re: Sally, Byron, Donna & Alfred - Can we rise to the Challenge of The Jesus Times, an uncompleted project? BYRON: "I myself have been posting video commentaries related to Easter, called ESOTERIC EASTER, for the last several weeks that may be of interest. It is meant to be palatable to liberal Christians." click HERE for notice of these Youtube videos! The New Testament offers a profound chronicle of the life of Jesus. But humanity has evolved tremendously since the four Gospels and the Epistles were penned. Followers of Jesus are ready for an updated depiction of who Christ was and is. The Esoteric Easter series, which began on March 12 of 2018, grows from that conviction. This series of talks and discussions, presented as a free service, offers a refreshed vision of Jesus and his teachings as we head toward Easter 2018 (April 1). We continue afterwards until April 16 as we follow the expanded description of Jesus’s resurrection appearances as uniquely revealed in The Urantia Book. 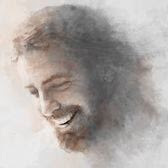 I can see now that you are indeed manifesting what I had in my mind's eye back in the early 1980s with The Jesus Times, which gladdens my heart. I have subscribed to EvolvingSouls.org and will be sharing your publication with others. Perhaps Sallie Wong and others would care to see our interview on your book Your Evolving Soul and check out http://evolving-souls.org/esoteric-easter/ as well. Alfred, some of our dreams of youth return later in life, and this projects sounds like one of yours. I am all for the explication of Part IV of the Urantia Book, if that's what you aim to do. Making it more attractive to Christians is an especially good mission, if you ask me. PS I myself have been posting video commentaries related to Easter, called ESOTERIC EASTER, for the last several weeks that may be of interest. It is meant to be palatable to liberal Christians. From the facts, Peter never died in Rome nor was he buried in Rome. What the Roman Church says is propaganda; well know in the early 1900’s by the preaching of Charles Spurgeon in his article: Roman Catholic Rubbish"
Mr. Alfred Webre is a humble man - like Jesus - a man … acquainted with grief; and both Alfred Webre and Byron are likable on camera, a gift from God. and persecution because once they perceived the Lord face To face - the fear of man fades away. Criticism and the fear of death looses it’s power. will be busy making money as best that I can for the next 5 yrs. and you and Byron are already well known and can be partners. the writings from the 50’s that Jesus never died. etc. If Christ never rose from the dead, of all people, Christians would be the most pathetic of all, if Jesus never conquered the grave, we Christians are the worst losers ever to exist ..
Any Bible scholar can tell you these are twisted lies, fake news since 2000 yrs ago ( read the last chapter of Mathew- the Roman guards were paid large sums of money by the Jewish elders to say that Jesus’ body was stolen) this manipulation by misinformation is so common today: the correct word for this - is heresy AND there are misguided forms of heresy. If you are going to preach about Jesus - you’re up against another kind of heresy that will attack you personally before you get started - which is Vatican law - the Council of Trent that has never been revoked and RULES that all Protestants are the separated brethren and condemns them to death as the Council of Trent has ruled that all Protestant who are heretics and murdering Protestants is not a crime. born again Christian years - As a young believer from an atheist background, I didn’t practice or know back then - what I know now which is that repentance from unbelief ,immorality and generational sins is a reasonable sacrifice to God if we confess to be a worshipper of God. GOD WILL GIVE YOU - HIS STRATEGY. Unless your labour is approached with clean hearts as well as clean hands, beware of being sabotaged. Your opponent knows your weaknesses and blind spots. it will flop again: unless you have the power of the Holy Spirit poured out upon all flesh, at this time. acknowledging Our Father in Heaven and without giving credit to Jesus who authorized us to use His power. GOD WILL MAKE OUR HEART NEW during this new time. The old will pass away. that he is a praying man and a (new) born again Christian and he will remove the agenda to destroy Christianity in America. God will use him to usher in this new time line: ?? can’t you see who HE IS ? by who his enemies are?? : they are losing the fight and God’s Kingdom ON EARTH is being established now, by those who know their God -they will do exploits. Thanks for letting me preach to you. • When God calls you to do it, He will pay for it, He will give you the script, and all the support and money required - you are likable and people will respond to you _ You must ask God for HIS WILL HIS WAY. Hi Alfred: I am following the thread of dialogue. I am open to anything that helps people learn more about who Jesus really was and His purpose for His incarnation and the model He demonstrated for our lives. I am uncertain what The Jesus Times is and how you envision what this will look like moving forward. I am very interested to explore this with you. I have been following Byron’s podcasts and they make a very good resource to understand the last days of his life and subsequent resurrection and ascension. I think it would be a good link for your followers, but there is so much more to share about Him. Count me in and let me know how I may participate with you. Dear Sally, Byron & Donna - Hi! 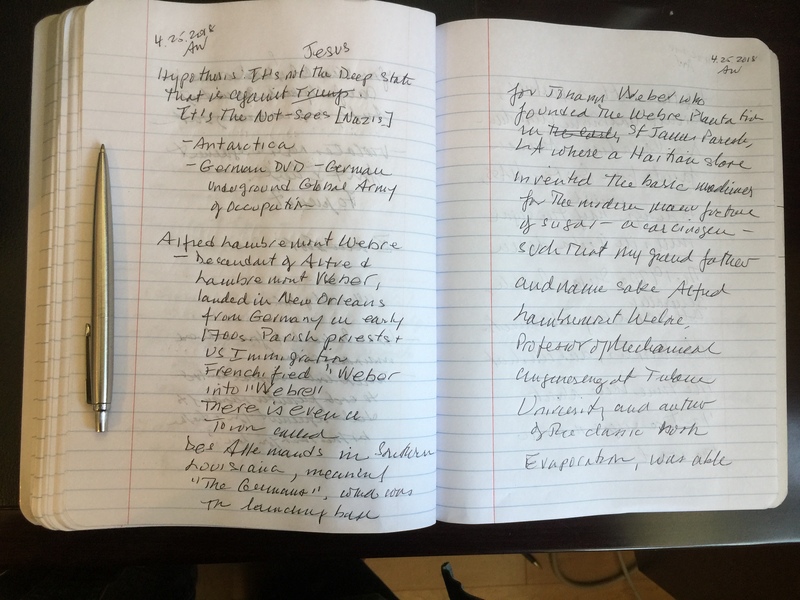 I am writing you with an open invitation to rise to the Challenge of The Jesus Times, an uncompleted project? My former spouse, Anna Swadling, and I founded The Jesus Times in Los Angeles [City of Angels, CA] after we returned from our Wedding in New Zealand via Vancouver, BC in the early 1980s. In Los Angeles, The Jesus Times was presented to many prospective partners who were active supporters of sharing a deeper perspective of the Life of Jesus through The Jesus Times publication. These included a wide range of our fellow humans as well as celebrity moguls who were born-again in the name of Jesus and whose names were household words and about whom major motion pictures have been made. Yet The Jesus Times never took wings as a publication, not for lack of potential material sustenance, financial backing or interested parties. Are you ready to roll up your sleeves, open your minds to a fresh approach, and help launch The Jesus Times, as above, so below? ps - Please feel free to share this email with other like-minded people you know who may share our goals, vision and values so that The Jesus Times may coming into being and publication in its perfect blueprint form. Thank you. Healing is always on the Father's heart...and I believe we are on the cusp of some of the greatest healing revivals we've seen yet. Healing is a manifestation of God's Kingdom rule. When people came to Jesus, they discovered not just a Healer who could heal, but a King with a Kingdom. At the heart of God's Kingdom is a tender Father whose heart yearns, even aches, for people to be healed. God's Kingdom is coming with increasing force, and healing will take center stage along with it. Healing revivals have come and gone. However, we are entering a time when the ministry of healing will have a continual prominence. VIDEO: Bob Dylan, "Gotta Serve Somebody"
Can we rise to the Challenge of The Jesus Times, an uncompleted project?